‘Shiroi Black Thunder’ (White Black Thunder) is a chocolate bar available only in Hokkaido. 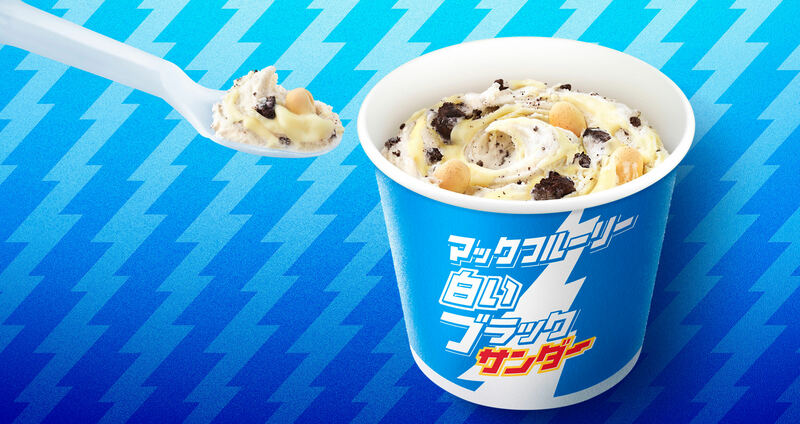 McDonald’s is releasing their new McFlurry Shiroi Black Thunder in collaboration with the product which will be available at McDonald’s branches across Japan from August 29. McFlurry is a popular dessert at McDonald’s made with rich milky soft serve ice cream which is topped with various toppings and sauces. McDonald’s Japan has collaborated with numerous other brands for their McFlurrys. Shiroi Black Thunder is a white chocolate version of the popular chocolate bar Black Thunder and can only be bought in Hokkaido. This is the first time McDonald’s has collaborated with Black Thunder. 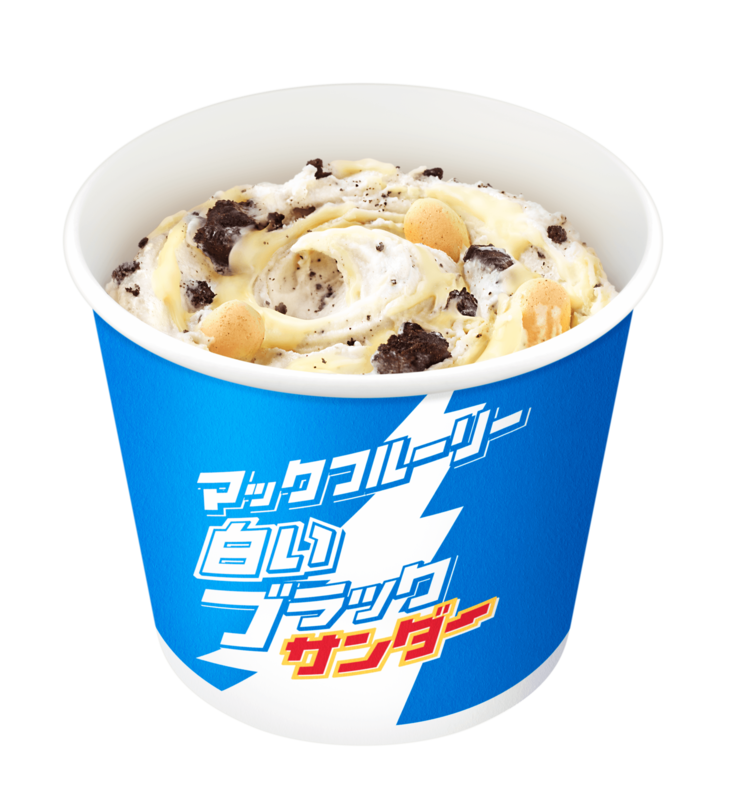 The McFlurry Shiroi Black Thunder is made with rich and milky soft serve and contains the cocoa cookies and biscuit found in the chocolate bar. It’s also drizzled with a hardened white chocolate sauce. It has the same crunchiness as the Shiroi Black Thunder and sweetness of its white chocolate. It also comes in original packaging with the Shiroi Black Thunder logo on it. These are available in limited quantities. Don’t miss out on this super rare collaboration!